Bentonite is usually selected as the buffering barrier material for high-level nuclear waste repository due to its characteristics of high expansibility and low permeability, yet the swelling properties are influenced by the saline solution existing in the fissures of surrounding rocks. 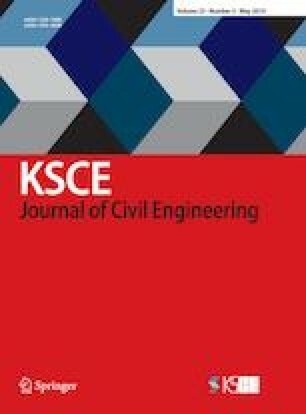 Quantifying the effects of saline solution concentration on the swelling property of compacted bentonite is significant for assessing the security of engineering barrier used to dispose high-level radioactive waste. In this study, the modified effective stress incorporating with osmotic suction generated from saline solution is proposed to depict the volume changes for bentonite in saline solution with different concentrations by a unique equation. The osmotic suctions are calculated with the simplified Debye-Hückel equation and the results are validated by comparing with the experimental data in other literatures. The published experimental data prove the uniform relationship between the volume change and the modified effective stress in saline solution with different concentrations. Therefore, the quantitative predictions of volume change of bentonite in saline solution with different concentrations are presented using the modified effective stress concept.